Dangling like a string of pearls in the Southern Caribbean, the Grenadines are home to some of the region’s most alluring islands. From St. Vincent and its vibrant Kingstown to the pristine beaches of Palm Island and Bequia, there is a spot here for everyone. The Grenadines are home to 32 islands in total, but 135-acre Palm Island might just be the prettiest. It is a private escape in the southern set of Grenadine islands, and it’s here where you’ll find the eponymous Palm Island resort. Guests relax in splendid seclusion while still having access to several powdery white beaches and world-class dining. Throw in the fact that Palm Island is covered in untouched natural beauty and surrounded by colorful sea life, and you have yourself a true island paradise. While the possibility of lazing on the beach in luxury is definitely one of the Grenadines' draws, those that like to frolic at festivals will have fun here too. St. Vincent is the largest of the Grenadines, and it’s the scene for one of the Caribbean's most spirited Carnivals. The proceedings—known locally as Vincy Mas—take place over several weeks in the summer and see the capital of Kingstown come alive with explosions of sound and color. Expect scintillating parades, raucous street parties and rocking band competitions. Bequia is the Grenadines' second largest island and offers a nice sampling of what the entire region has to offer. Picturesque Port Elizabeth is the hub of activity here, offering plenty of delicious drinking and fun drinking options while still maintaining a relaxing pace. And each spring the island comes alive with its exciting Easter Regatta. If you were in need of any reassurance regarding the beauty of these islands, know this: When Hollywood had to choose a place to film much of the original Pirates of the Caribbean film, they came to the Grenadines. Fans of the movies will instantly recognize St. Vincent’s Wallilabou Bay as the setting for the fictional Port Royal harbor. But perhaps the most memorable scene was on Petit Tabac, located in the idyllic Tobago Cays. This dreamy islet is populated by nothing but sugar-white sand and coconut trees. It was here where Elizabeth Swann (Keira Knightley) and Jack Sparrow (Johnny Depp) found themselves marooned. 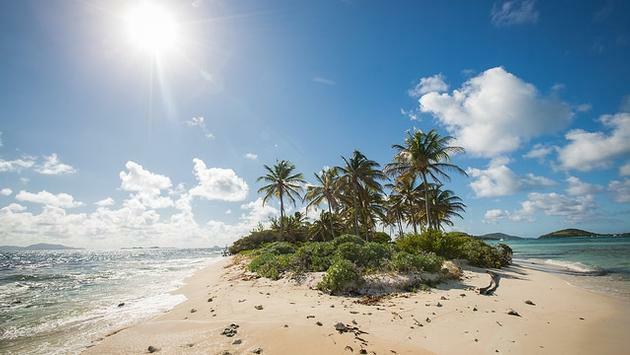 Another one of the Grenadines' lavish private islands, Mustique is a minor miracle in itself. A gentleman named Colin Tennant purchased it in 1958—back when there was no running water or infrastructure to speak of—and managed to turn Mustique into a magnet for the rich, famous and royal. Princess Margaret once owned property here, and you’ll still find a who’s who of socialites and social media stars nursing drinks over blues music at the island’s beloved Basil’s Bar.